DePaul Supported Housing client Anthony I. was a born advocate. When Anthony I.’s wife of 22 years filed for a divorce, he found himself homeless, in poor health, and scared. This time, Anthony had to learn to accept help from others. Born and raised in Utica, New York, Anthony, 63, is a part-time peer support specialist with the Strong Ties Community Support Program where he assists care managers with clients’ needs. He works with individuals with psychiatric disorders transporting them to and from health care appointments, to get clothes or to the food cupboard. He helps clients learn to use public transportation or complete their High School Equivalency Diploma training. He also volunteers with New Directions of Rochester where he facilitates groups. Brian Kinzel, Case Management Team Leader at Strong Ties Community Support Program, said Anthony is very outgoing, caring and empathetic. A graduate of Mohawk Valley Community College, Anthony studied police science and criminal justice followed by Buffalo State where he studied social work for over two years in the hope of becoming a probation officer. He worked in the courts and detention homes in Buffalo and Utica, as well as with children in a group home, before landing a job at Xerox where he worked for 11 years. health, and scared. This time, Anthony had to learn to accept help from others. In 1990, when he was in his 40s, Anthony began staying home to help raise his children. Anthony had lost weight – going from 180 pounds to 99 pounds. His wife filed for a divorce. 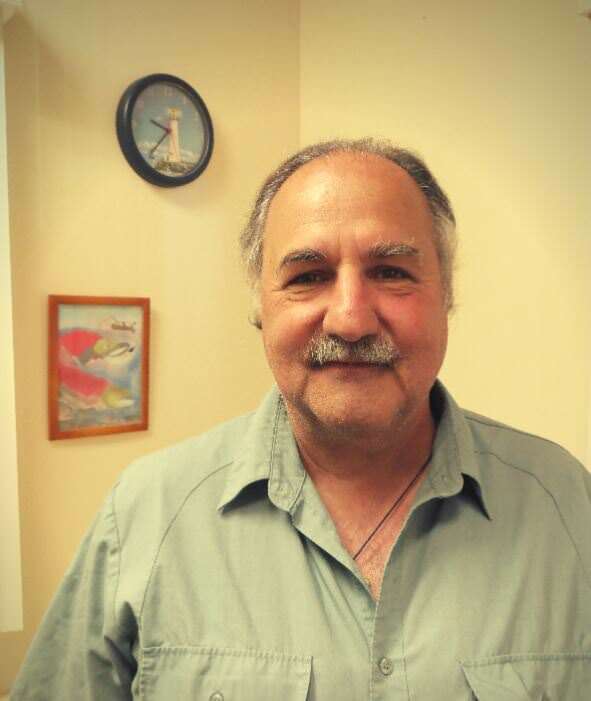 Homeless and feeling helpless, Anthony was appointed a Catholic Family Center guardian. After eleven months in area hospitals, Anthony was discharged on September 27, 2001. Diagnosed with Undifferentiated Schizophrenia, a social worker at the Rochester Psychiatric Center took him to DePaul’s Peck Road Community Residence for a dinner meeting, where he wound up living for three years. “What it did was it gave me restful, peaceful time away from a rough time with my family,” he said. Between the support from DePaul staff and appointments at Strong Ties Community Support Program, his education in social work and his faith, Anthony said he found the strength to move forward. In January 2003, Anthony left Peck Road and moved into his own apartment with the assistance of DePaul’s Supported Housing Program. Anthony’s Supported Housing Specialist Sheri Bennett said Anthony’s caring attitude is apparent to anyone who meets him. He’s been living in the same apartment on Elmwood Avenue and working at Strong Ties Community Support Program for ten years now. While he was living at Peck Road, Anthony attended programs with New Directions Social Clubs where he learned how to draw. He’s continued to pursue his love of art and has sold three paintings in the Rochester area. Marilyn Guadagnino, Primary Therapist and Peer Supervisor at Strong Ties Community Support Program, said Anthony truly wants to help clients learn the skills they need to get better on their own. “It takes a lot of work to make someone change their patterns, but he always want to get in there and help make that happen,” said Guadagnino. When he’s not on the clock, Guadagnino said Anthony walks around and chats with people. Anthony said his experiences as a patient in the mental health system have helped him in his work at Strong Ties Community Support Program. Today, Anthony and his ex-wife remain good friends. In 2005, he walked his oldest daughter down the aisle. An avid fisherman, Anthony also enjoys hunting and archery. In his spare time, he watches and collects old movies and tends to his aquarium. He said he’d love to retire, but he’s not done helping others yet. DePaul’s Mental Health programs, like our Supported Housing, offer support, opportunity, and hope for the people we serve. Learn more about DePaul’s quality care.